In 1968 a group of people in West Liberty, Ohio had a dream to build a “senior citizen village.” Armed with their vision and strong determination, they set forth to make that dream a reality. A 1971 feasibility study showed that West Liberty was too small of a town to find the $1 million funding needed. There was a short moment of apprehension that was met with the West Liberty Sewing Circle decision to have a bake sale to get started. That bake sale raised $2322, which would be the equivalent of $10,505 today. In 1972 a Board of Trustees was established for West Liberty Homes, the first corporation that is known today as Green Hills Community. Not long after that Loren King was tapped to lead a fund drive. They received a $75,000 grant from the Mary Eleanor Morris Foundation in 1972 which allowed them to buy the land necessary for the project. The land that Green Hills Community now calls home was once a field of peonies. Mr. King implemented a Development and Service Committee in 1974. The board chose a lady from each of the original seven sponsoring churches to get pledges or “membership” from their church and congregation. That campaign raised $300,000. The apartments were built in 1975 and Mrs. Salome Hamblen was the first resident, moving in September 4, 1975. This was the beginning of the legacy of Green Hills. The next step in the dream was a 46-bed nursing home. The West Liberty Care Center opened two years later in 1977. The main funding for that project was a $1 million loan from the FHA (Farmers Home Administration) the first one ever used for a nursing center. Today the Care Center has blossomed into a 99 bed care center that includes 16 memory care beds known as the Emerald. Over the years Green Hills continued to explore new areas of need for the elders of West Liberty. 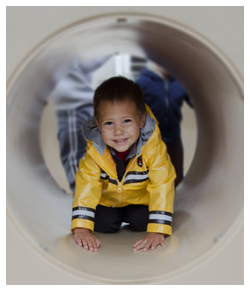 In 1981 they opened a Child Care Center on campus, offering intergenerational activities benefitting elders and children. 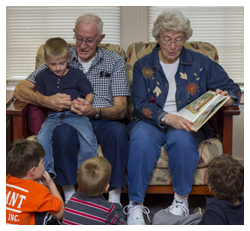 Green Hills was the first nursing center in Ohio to offer child care. In 1986 DayBreak was implemented to offer adult day services to those in the community who needed support. 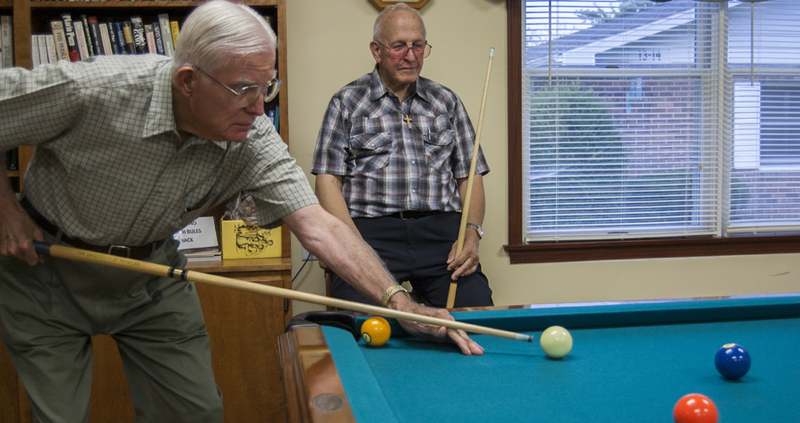 The vision continued as the Green Hills Inn opened in 1988 offering Assisted Living services. In 2000, Woodside Homes opened, offering another option in Independent Living on the campus. 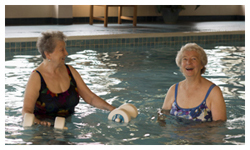 In 2004, services were expanded once again with the addition of a community center and an aquatic fitness center. More recently they have added the Sunrise Homes in 2009 and in 2014 Care At Home, a home health agency that rounds out the aging services provided by Green Hills. The dream of a “senior citizen village” the townspeople of West Liberty had 47 years ago has become the legacy of Green Hills Community today, offering elders the opportunity to have choices as they age where they want and how they want. 40 Assisted Living Apartments, Known as "The Inn"
16 Private Rooms for Dementia and Alzheimer's Care Known as "The Emerald"